The machine gluing fiberglass mesh to angle beads is used for adhering fiberglass mesh to PVC, aluminum or stainless steel corner beads with the use of hot melt adhesive. 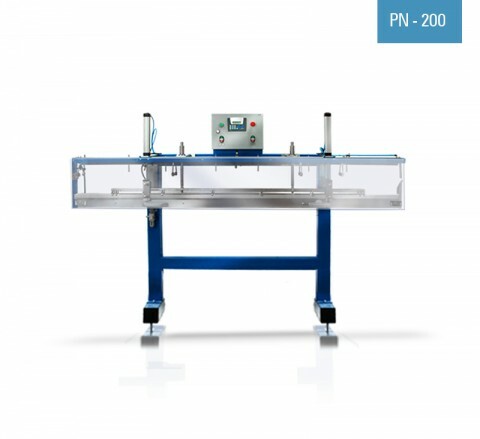 Machine used for manufacturing of corner beads with fiberglass mesh can work in semi-automatic mode, as well as in automatic mode (with with the automatic corner beads feeder PN-200). The machine gluing mesh to dripnose beads is used for adhering fiberglass mesh to drip profiles (dripnose beads) with the use of hot melt adhesive. 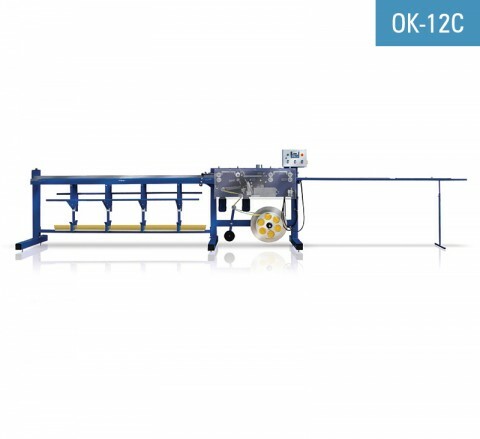 Device used for automatic feeding of corner beads (made of PVC, aluminum or stainless steel) to machines adhering fiberglass mesh to corner beads. 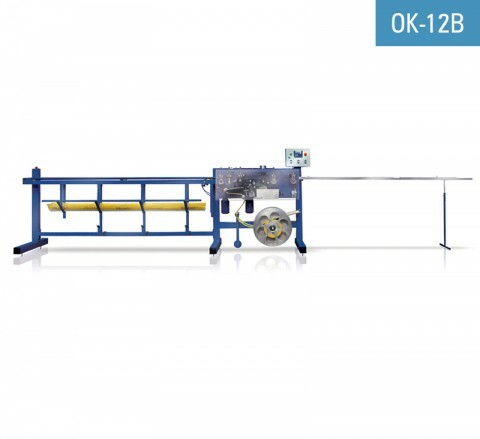 The automatic feeding system is used for feeding of PVC, aluminum or stainless steel corner beads to machines adhering fiberglass mesh to corner beads. 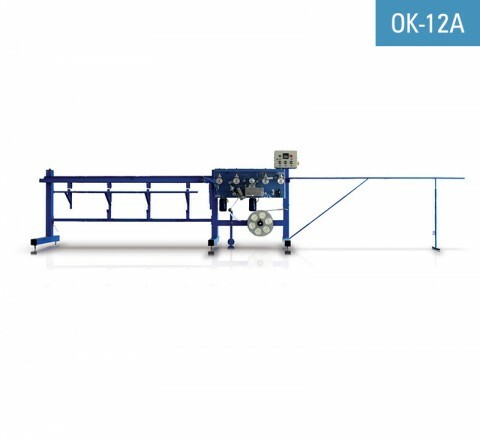 The device is compatible with the adhering machine OK-12A.